The weekend started on Wednesday. 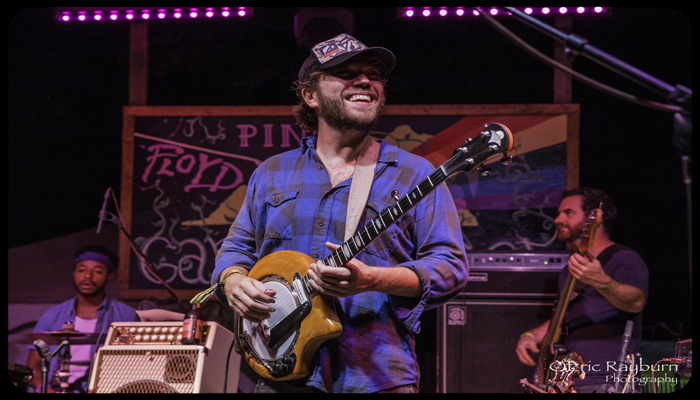 A mouthful of pulled pork, a cupful of craft beer and an earful of Floyd, Virginia’s Deer Run Drifters welcomed the first evening of 2015’s edition of FloydFest, which ran from July 22-26. This local 6-piece brought some soothing acoustic sounds to the early arrivals as the sun set against the mountains of Southwest Virginia. Playing the second of five sets at the festival, they entertained the diners at a pig-pickin’ in the backstage VIP pub. This boutique festival, which limits the number of tickets sold in order to improve the experience of the patrons, stepped into its 14th year with the return of many established veteran acts and the arrival of some festival first-timers. 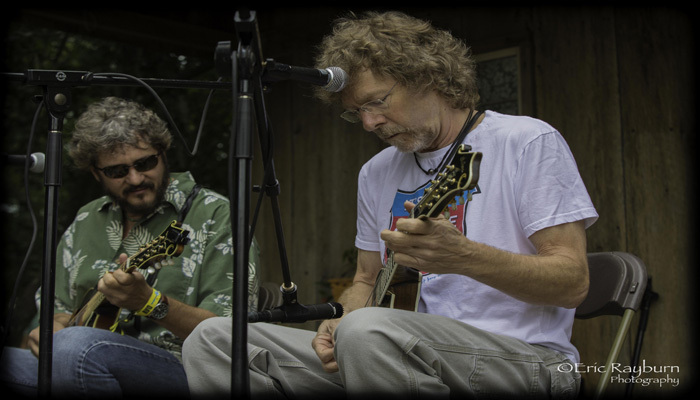 The festival began in earnest on Thursday as mandolin masters Sam Bush and Drew Emmitt sat for a session on the Ferrum College Workshop Porch stage, a small and intimate stage dressed as a cabin front porch. The two shared stories and answered questions from the packed-in crowd, sometimes in song. They found time to pick a few classics, including a lively version of the John Hartford classic “Steam Powered Aereo Plane”. The mandolin twang continued over on the main stage as the Jeff Austin Band had people dancing and yelling for the former Yonder Mountain String Band frontman and his exceptionally talented band. Sam Bush brought his full band to the main stage next and played through one of the beautiful and fiery sunsets this plateau on the Blue Ridge Parkway is known for with a set of perfectly executed and exciting tunes. The main stage concluded with a rowdy set by Colorado’s Leftover Salmon including a special sit in by Love Canon dobro player Jay Starling. 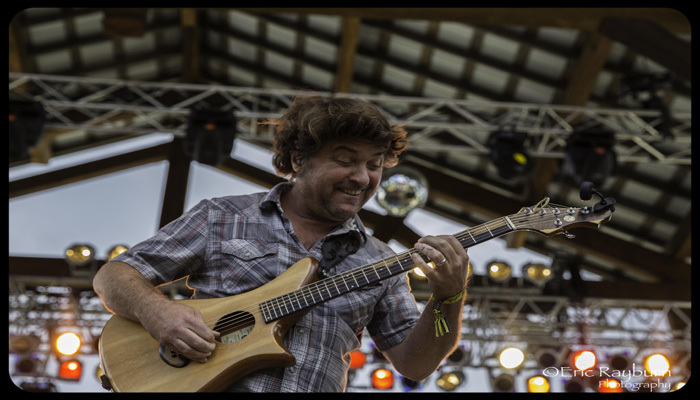 Late night saw the FloydFest debut of Keller Williams’ Grateful Grass. The rotating collective this night featured Williams, Jeff Austin, Jay Starling, Reed Mathis and Andy Thorn and had everyone in attendance up and singing. Friday kicked off with a crunchy roar as last year’s On The Rise winner, Swampcandy, took to the main stage (Look for more on this promising trio in a future Consider Collective article). As the mid-afternoon sun warmed the patrons on the field, Virginia native Keller Williams played a masterful solo set. The “One-man Jamband” entertained with his catchy and fun lyrics and impressed with his musical ability. The fact he hid from the audience until later was he was playing with a numb left ring finger, the result of a procedure removing a fish hook from his finger just 15 minutes before his set. This was revealed later on his Facebook page. 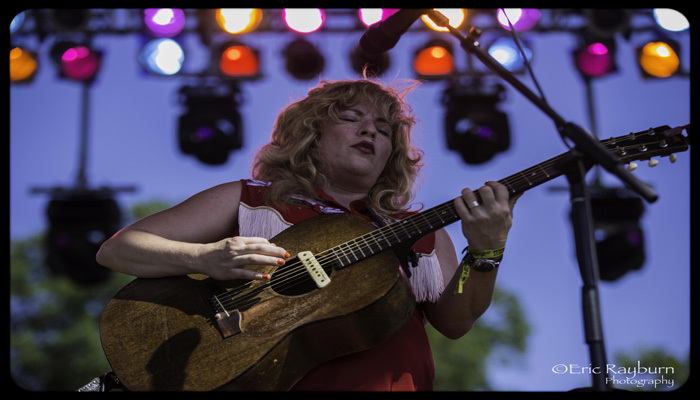 The Charleston, SC-based husband-and-wife duo Shovels and Rope took over the main stage next with the passion and fire they are known for. The couple was playing their last show before taking time off for Cary Ann Hearst to give birth to their first child. The next 2 acts on the main stage were a departure from bluegrass/Americana as Swedish sisters First Aid Kit and Los Angeles indie folk band Lord Huron excited some of the younger members of the crowd. Meanwhile over on the Streamline Stage at Hill Holler, the Crystal Bright Circus Spectacular, a conglomeration of dancers, performers and contortionists, fronted by the ethereal voice of Bright and her band the Silver Hands, blended music and performance art to the delight of those in attendance. Keller Williams returned next for his 3rd set, this time featuring Virginia’s own Larry and Jenny Keel. 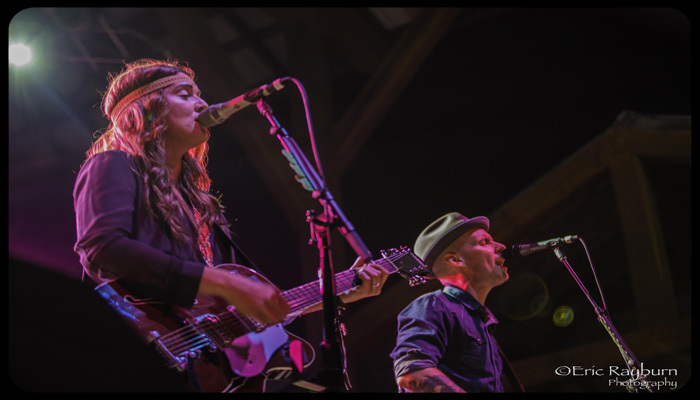 A roar of female voices greeted singer/songwriter Brandi Carlile as she took over the main stage as the night’s headliner. The 34-year-old spoke highly of the festival from the stage remarking how much she enjoyed walking the grounds with her wife and child earlier in the day. 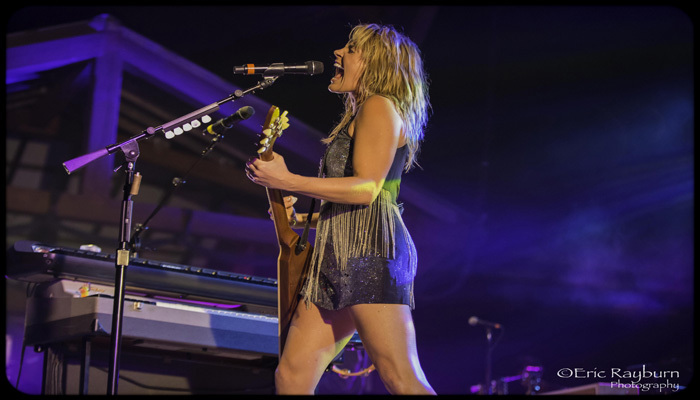 Her set was spirited and strong, playing many songs from throughout her career. Late night had supergroup Trigger Hippy perform one of the last shows with guitarist Jackie Greene, as he announced his departure from the group the next day via a Facebook posting. Saturday dawned with increasing warmth and humidity leading to a mid afternoon downpour that lasted maybe 45 minutes. Nashville Alt-Country singer Rayland Baxter decided the rain was not going to stop his set saying, “We are going to just keep playing! Let’s go!”. The shower knocked down much of the dust and refreshed the patrons. 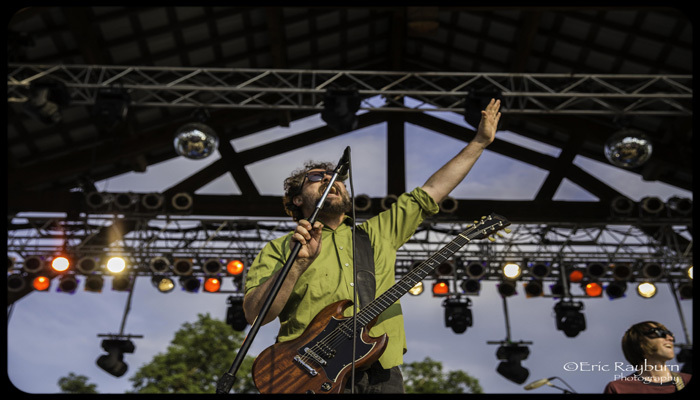 As it ended and the sun began to set, it was at that moment that Patterson Hood and Drive-By Truckers roared onto the stage bringing loud guitars, Southern rock and a bottle or two of tequila. Their set was full throttle from start to finish as Hood and Mike Cooley traded vocals and guitar solos. Greensky Bluegrass, the bluegrass quintet from Kalamazoo, Michigan, made their FloydFest debut on the Hill Holler stage to a packed crowd. The group is seeing increasing crowds and tremendous success following the release of their latest album “If Sorrows Swim”. 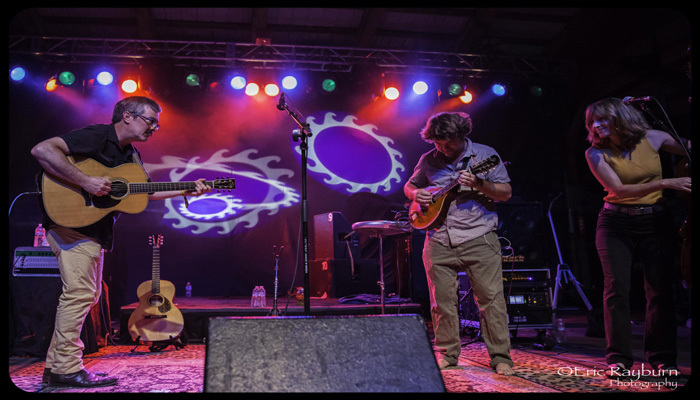 Combining thoughtful lyrics with exploratory and technical jams, the group is at the forefront of where the jam and progressive bluegrass genres are heading. Look for them to be headlining festivals very soon. The final day at FloydFest always slower and less crowded, but was not deficient in regards to the acts that performed including Jerry Douglas, Peter Rowan and 13-time Grammy winner Emmylou Harris with Rodney Crowell. The white-hot Sister Sparrow and the Dirty Birds played the last set of the festival and showed why so many people are talking about them and their live performances. At a festival like FloydFest, there are so many things going on at once that it is impossible to see it all. The festival hosted a fire stage, trapeze artists, a children’s area, an outdoor event tent and a competition for up and coming bands. This year’s winner was Look Homeward, a North Carolina folk trio. As winners, they will return to the festival next year for a paid main stage set. Every festival has its fans, but those who return year after year to this 80 acre parcel of land know how special it, and the legions of staffers and volunteers, is and it’s their fervent loyalty that will make this a July tradition for years to come. Photos and story by Eric Rayburn.